In the West, we often associate religion, Christianity especially, with organized charity. With its emphasis on compassion, one would think charity is important to Buddhism also, but we don't hear much about it. In the West, there's a common assumption that Buddhism doesn't "do" charity, in fact, and instead encourages followers to withdraw from the world and ignore the suffering of others. Is that true? Buddhists argue that the reason one doesn't hear so much about Buddhist charity is that Buddhism doesn't seek publicity for charity. Giving, or generosity, is one of the ​Perfections (paramitas) of Buddhism, but to be "perfect" it must be selfless, without expectation of reward or praise. Even practicing charity "to feel good about myself" is considered an impure motivation. In some schools of Buddhism monks asking for alms wear large straw hats that partly obscure their faces, signifying there is neither giver nor receiver, but just the act of giving. It has long been the case that laypeople have been encouraged to give alms to monks, nuns, and temples, with the promise that such giving will make merit for the giver. The Buddha spoke of such merit in terms of spiritual maturity. Developing the selfless intention of doing good for others brings one closer to enlightenment. Still, "making merit" does sound like a reward, and it is common to think that such merit will bring good fortune to the giver. To get around such expectation of reward, it is common for Buddhists to dedicate the merit of a charitable act to someone else, or even to all beings. In the Sutta-pitaka the Buddha spoke of six kinds of people in particular need of generosity -- recluses or hermits, people in religious orders, the destitute, travelers, the homeless and beggars. Other early sutras speak of caring for the sick and people who are needy because of disasters. Throughout his teaching, the Buddha was clear that one should not turn away from suffering but do whatever can be done to relieve it. Still, through most of Buddhist history charity per se was an individual practice. Monks and nuns performed many acts of kindness, but monastic orders generally didn't function as charities in an organized way except in times of great need, such as after natural disasters. Taixu (Tai Hsu; 1890-1947) was a Chinese Linji Chan Buddhist monk who proposed a doctrine that came to be called "humanistic Buddhism." Taixu was a modernist reformer whose ideas refocused Chinese Buddhism away from rituals and rebirth and toward addressing human and social concerns. Taixu influenced new generations of Chinese and Taiwanese Buddhists who expanded humanistic Buddhism into a force for good in the world. Humanistic Buddhism inspired the Vietnamese monk Thich Nhat Hanh to propose Engaged Buddhism. Engaged Buddhism applies Buddhist teaching and insights to social, economic, environmental and other issues troubling the world. A number of organizations work actively with Engaged Buddhism, such as the Buddhist Peace Fellowship and the International Network of Engaged Buddhists. 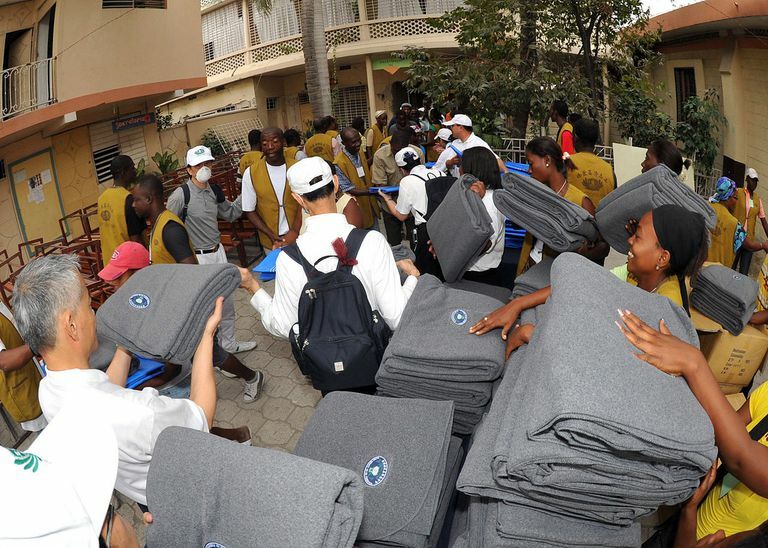 Tzu Chi Foundation -- Buddhist Compassionate Relief: Established in 1966 by Dharma Master Cheng Yen, a Taiwanese nun, Tzu Chi today has more than 500 offices in 50 countries and regions. Its millions of volunteers around the globe have built schools, offered medical care, and responded to disasters in 87 different countries, including the United States. Buddhist Global Relief: Founded by the American Theravadin monk Bikkhu Bodhi, BGR provides food aid to the hungry and malnourished, promotes ecologically sustainable agriculture, and supports education and other opportunities for girls and women. Cambodia AIDS Project: This chaplaincy program supports AIDS, tuberculosis, cancer and other patients too poor to access traditional spiritual resources. The program also provides material support for caregivers, the elderly, the disabled, pregnant and breastfeeding women, prisoners, and others without access to the resources they need. Lotus Outreach International: Lotus outreach provides education, health, and economic opportunity programs to over 30,000 women and children in India and Cambodia. The Buddha Jyoti Himalayan Youth Club Nepal: Among other projects, this group operates Maitri Griha, a home for mentally handicapped children.